FIRST MINISTER of Scotland Alex Salmond has unveiled the nationwide programme of celebration for Homecoming Scotland 2009 that has been inspired by the 250th anniversary next year of the birth of Scotland’s national Bard, Robert Burns. Scotland’s Homecoming celebrations will run from Burns Night (25 January) to St Andrew’s Day (30 November) 2009 across more than 50 locations. A programme of more than 100 events has been organised around the five main themes of the Homecoming, these are the Bard himself, Whisky, Golf, Great Scottish Minds and Innovations and Scotland’s culture and heritage. 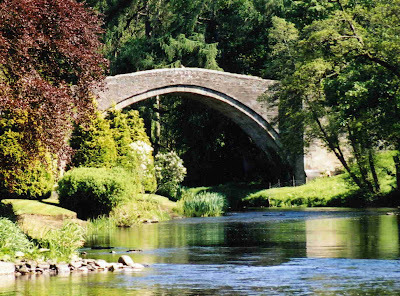 South Ayrshire will be the focal point for the Burns 250th Anniversary Weekend that starts the 2009 activities. The official Homecoming Burns Supper being held at the Brig O’ Doon in Alloway forms the central feature of the world’s biggest virtual Burns Supper Celebration, and marks a full weekend of exciting activities taking place in and around Ayr over the weekend of 24 and 25 January 2009. South Ayrshire Council will be working closely with a wide range of partners, community and voluntary organisations and local businesses to ensure that visitors to South Ayrshire enjoy a really special welcome with a range of exciting events planned throughout the year. 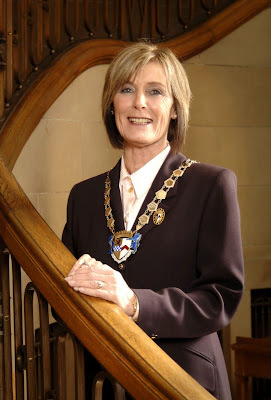 South Ayrshire Council Provost Winifred Sloan (pictured above) said: “As the birth place of Robert Burns and the Open Golf Championship, South Ayrshire attracts visitors from all over the world, and I can think of no better year to visit than in 2009, the 250th anniversary of the birth of our national Bard, when South Ayrshire will be at the epicentre of Homecoming 2009. “I would encourage people who were born or grew up in this area to come home during this very special time. Likewise for Scottish people who live abroad, have Scottish ancestors, business connections or simply those who love all things Scottish - make a commitment to yourself to come to South Ayrshire in 2009. “Many international sports stars, inventors, artists, academics and business people are Scottish, and know the importance of their heritage and culture. April 24 – 27 2009 REME Association Reunion Scotland 2009. May – September 2009: Ayrshire Innovators. AND First Minister Alex Salmond (pictured below) has called for all Scots to invite Scotland’s international friends and family to join the year of Homecoming 2009. Unveiling the nationwide programme for 2009 of over 100 new and enhanced events, designed to celebrate Scotland’s first ever year of Homecoming, the First Minister launched an e-card to help all Scots spread the word. Inspired by the 250th anniversary of the birth of Scotland’s national bard, Robert Burns, Homecoming 2009 will be a celebration of the great contributions Scotland has made to the world. It is also a chance for Scots around the world to reconnect and engage with their heritage. 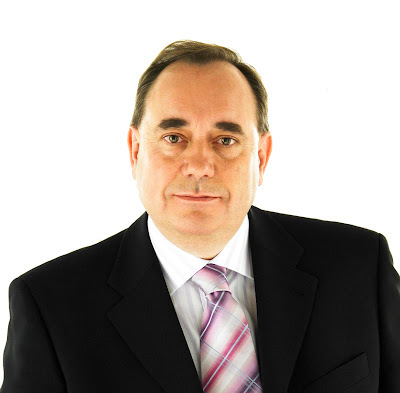 Alex Salmond said: “With so many exciting events taking place across the country, 2009 will be a fantastic year to invite people around the world, with either an ancestral link or affinity for Scotland, to come home. “Already we are seeing success, with Forbes Magazine announcing plans to return to Scotland for the first time in nearly 100 years to host their annual European CEO Forum. This will be an influential business conference and an opportunity to show global business leaders that Scotland is a dynamic nation, with an exciting future. “I want to urge everyone in Scotland to play their part in what will be the biggest ever celebration of Scotland's achievements and culture, and our ties of family and friendship around the world. * A Burns 250th anniversary weekend, including a campaign to create the world’s biggest virtual Burns Supper celebration. * A Homecoming theme for Aberdeen’s Word 09 literary festival. * An exhibition of contemporary art inspired by Burns, to be held in Glasgow’s Mitchell Library, featuring works by John Byrne, Tracy Emin, Graham Fagen and David Mach. * A celebration of the Caledonian Canal, with a flotilla travelling the length of the canal from Fort William to Inverness. * The Open Golf’s return to Turnberry. * The first ever Whisky Galore festival, to be held on Barra. * One of the largest clan gatherings in history, to be held in Edinburgh. There are currently 268 Ayrshire business stories permanently archived on this site. To locate those of most interest to you, please use the site search facility in the top left hand corner of this page. Type your search term in the white box, then click “SEARCH BLOG”.